Porcelain Lifter is mainly designed to lift and move materials which are flat, long, thin, delicate, and breakable such as porcelain, glass, ceramic, etc. The clamping mechanism is fully automatic. 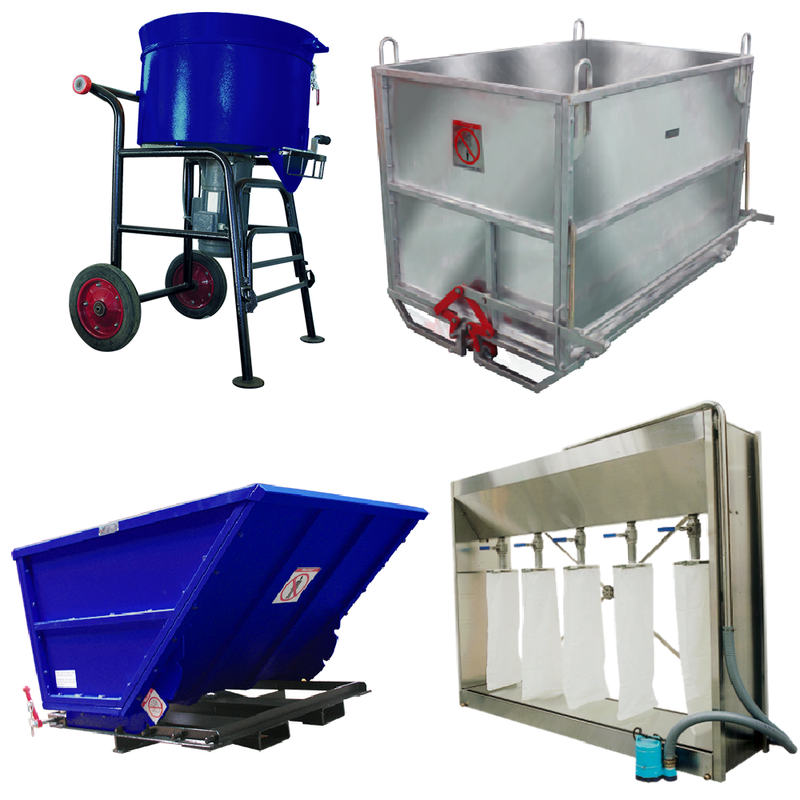 The surface contact for the material is covered by rubber pads to prevent from damages or cracks when lifting. Two guide shafts lead the lifter to the right position. Porcelain Lifter has 8 wheels. 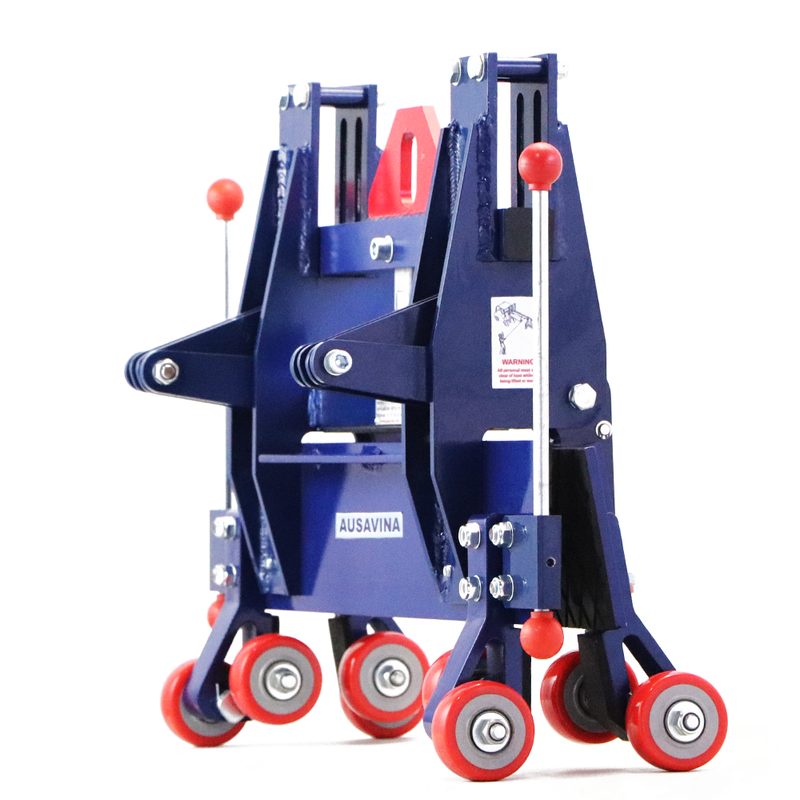 The four lower wheels of the lifter make it easy for maneuvering. 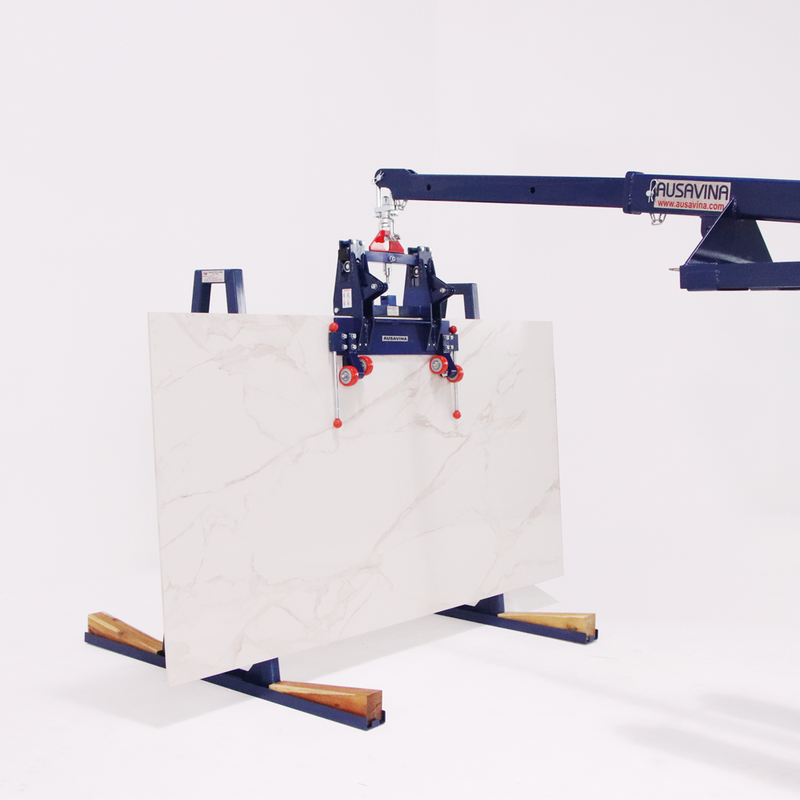 The four upper wheels of the lifter were designed to provide pressure on the porcelain slab surface to act as a guide as the porcelain slab glides into the lifter and ensure the porcelain slab at the center of two clamps. Porcelain Lifter is made of aluminum, so it is light and sturdy. 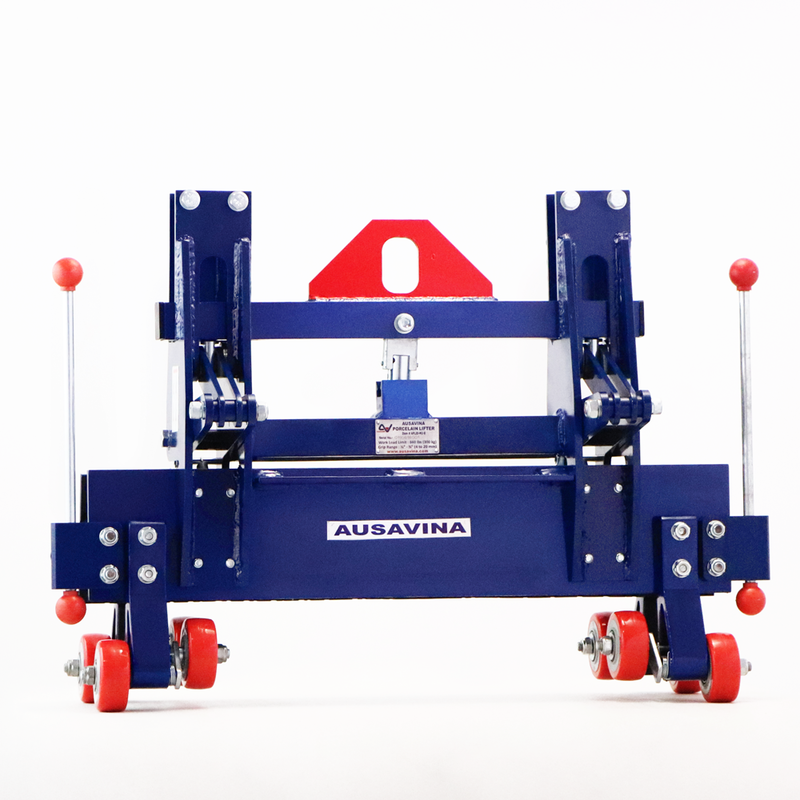 The device is designed with two lifters which distribute the lifting force evenly. 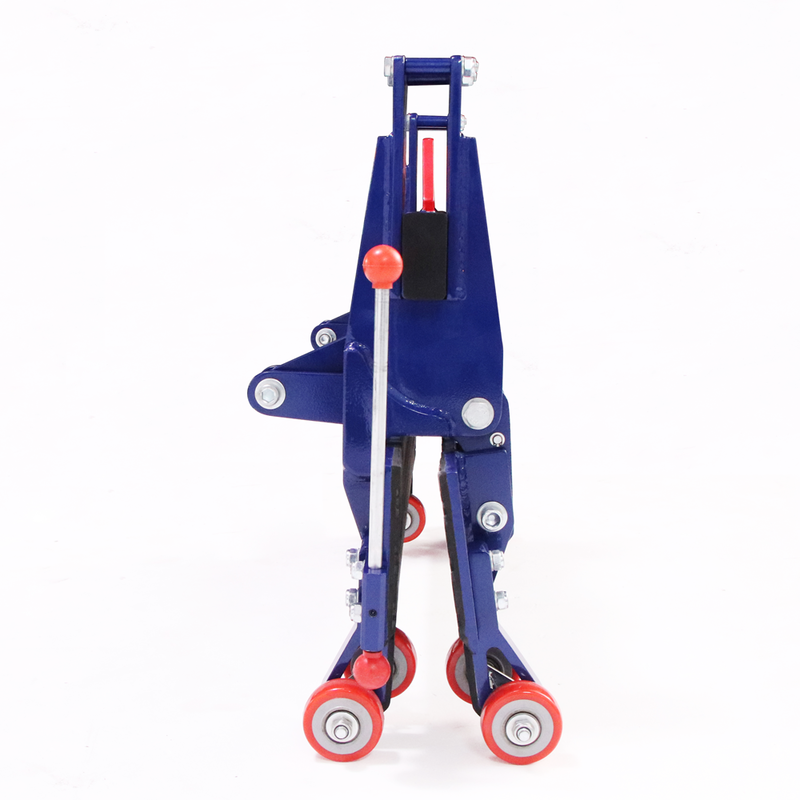 Porcelain Lifter helps reducing labor and ensuring safety for operators. 944/1, Nguyen Thi Minh Khai Street, Tan Thang Quarter, Tan Binh Ward, Di An Town, Binh Duong Province, Vietnam.